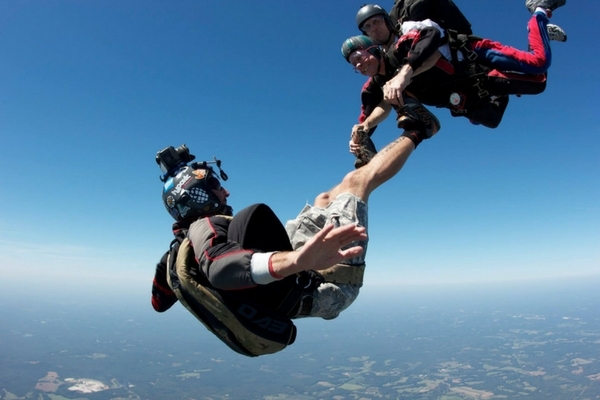 Are Skydiving Videos Worth The Investment? Trust Us, You Want the Video! 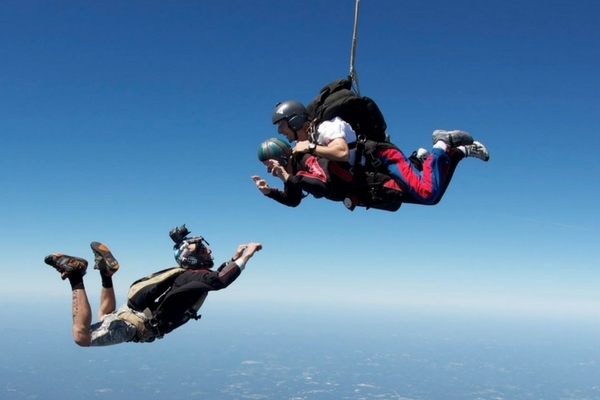 When first-time jumpers consider the expense of adding a skydiving video, they often wonder if the cost is really worth it. We get it! Skydiving is not a cheap activity and perhaps you’ve already been saving your hard-earned cash for weeks to make this happen. 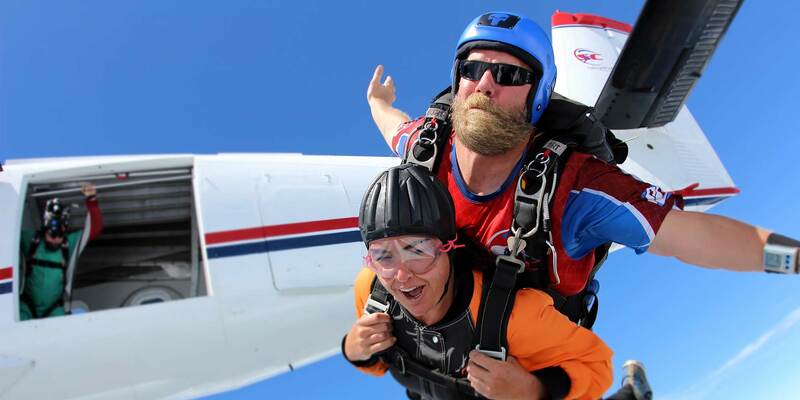 Here’s why we would argue that skydiving videos are worth every cent. 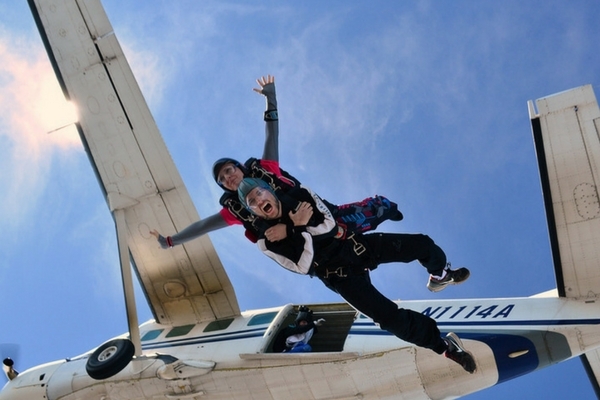 How many people can say they’ve jumped out of a perfectly good airplane? You need proof! Skydive Carolina makes it easy to share your experience on social media and ensure that your friends turn green with envy. Or maybe you just want to impress someone special? We have your back. After your jump, our professional videographers will download your mini-documentary onto a USB Memory Stick as an MP4 file that you can share with as many people as you’d like as many times as you’d like. The video is yours to keep, and we guarantee that you’ll want to watch it over and over again to relive the unforgettable memory you’ll create. We offer a variety of media packages so you can pick which best fits you. If you just want a bunch of photos, you can scoop up 30 to 60 digital photos for $99. Or you can pay that same price for a fully-edited digital video. The price is just $119 in total if you buy both. If you’re more of a social media fan, our social media package will get you up to 60 photos, a fully edited video and a video clip for social media for $129. The “Ultimate Package,” at $139, includes an edited video, between 30 and 60 photos on a USB, a DVD of your jump and a one-minute video clip for social media. So you’re leaning towards getting a video package? Excellent! Now that you’ve determined how valuable they are, let’s move on to an even more important issue: looking good. You are flying through the air at roughly 120 miles per hour. You want to look good. We want you to look good. So let’s talk about some do’s and don’ts. If you’re a woman, make sure your hair is neatly braided or in a bun. Think about the wind that rushes against your face when you hang your head outside of the window of a moving car. Misplaced hairs can become knotted and messy. DON’T FORGET TO SMILE! We realize this is a new and thrilling experience. We also completely understand that you may be nervous. But when you’re flying through the air and your videographer is filming your skydive, don’t forget to smile. It will not only make you look happy, but it will also tighten up your cheeks and lips so that nothing is flapping around. Ready to prove what a star you really are? Learn more about our media packages, or contact us with any questions you have. We can’t wait to document every part of your experience on the adventure of a lifetime!